With new fashion style. It has a unique visual experience in the air. 3-6 wind can take off, fly smooth, coastal inland cities can easily fly. 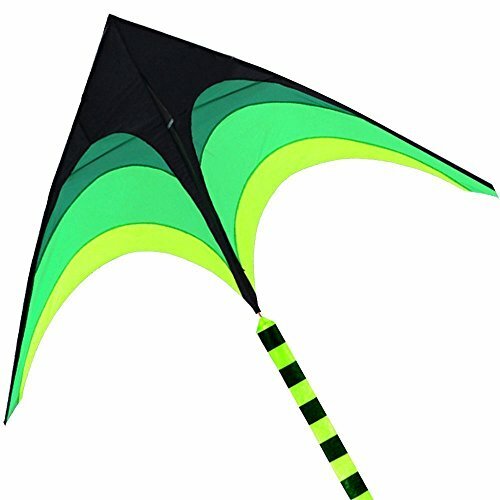 The kite is highly weather-resistant and guaranteed to last. The handle is made from durable plastic so it's 100% safe to use and won't wear out or break. Pack comes with a kite line! Flying the kite is undoubtedly an entertaining activity for both kids and adults. Use it any open area, from beaches to parks, and enjoy spending quality time with your family. Made in the international kite capital - weifang,shandong,china. Our company is the weifang kite industry association governing units. If you have any questions about this product by HENGDA KITE, contact us by completing and submitting the form below. If you are looking for a specif part number, please include it with your message.